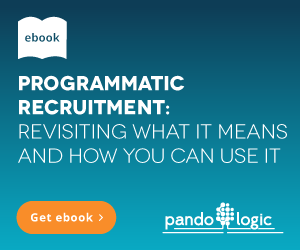 Programmatic recruitment might sound like a surefire path to the unemployment line. It's quite the opposite, both for you and the job candidates you source and hire. The technology that drives automation lets you work smarter. And that boosts one of the most important trends in sourcing and hiring: the candidate experience. Here are four ways automation helps you create a better candidate (and employee) experience that supports your employer brand. Poor communication remains one of the most common complaints about HR and recruiters. In fact, Undercover Recruiter says job candidates expect communication that goes beyond the basic job application acknowledgment and notification if it's already been filled. Unfortunately, a lot of recruiters and HR personnel don't follow through with the most basic communication tasks. In this talent market, the best prospects probably have a job. They might not actively be on the market. Maybe they don't have the freedom or desire to drop everything once you find the time to communicate. If they're left hanging and wondering, they could move on, which means you could lose a valuable person. You might not need them today, but you'll need them eventually. The talent pipeline is invaluable now. There's no such thing as an unimportant candidate, especially not for hiring teams with many different jobs to fill. Better communication helps keep people engaged until you have the perfect spot for their talents. That's true whether the day arrives tomorrow or a year from now. If you've been through one onboarding process you've been through them all. They're usually as dull as powder and filled with forms, videos and short meetings. It doesn't matter if the glossy information packet was recently redesigned by a great graphic art team. It will ultimately find its way to the bottom of a desk drawer and onboarding will hardly be remembered. Automation can transform onboarding from a day or two of necessary evils into a talent retention tool that spans weeks or even months. It can help identify candidate needs in the earliest stages to set them up for long-term success and give your churn metrics a nice shot in the arm. The Society for Human Resource Management says automation in onboarding gives HR more time to focus on candidates when they need it. It also sets you and candidates free to handle certain tasks when time allows. With an automated onboarding portal, new hires can access training materials, onboarding paperwork, training schedules, contact information and progress reports. It's a great place to give and receive feedback, which you can follow up on later. And because feedback contains valuable data, it has a wealth of analytics possibilities to continually improve the onboarding process and make better and better hires in the future. The sooner you spot people with loads of potential, the better the outcomes for you and them. Automation can help you spot talent that's on the rise before your competition swoops in and tempts them away. According to VentureBeat, artificial intelligence gives you insights into traits that indicate an employee with untapped potential. That's much quicker than waiting for a person to blossom on the job, which can take months or years. The more quickly you identify employees who are destined for greatness, the more likely you'll be to engage them with the right opportunities at the right time. Mentoring, coaching, and training turn good new hires into great employees. Not every job candidate or employee is destined to be a rock star. Mentoring, coaching, and training can help you fill more positions and reduce time-to-fill, which is vital with top talent so hard to find. It can also help more employees become great team members, even if they never move into a leadership role. According to Harvard Business Review, there is a very real skills gap and it's a global problem. Just because a person has all of the right hard qualifications doesn't mean they have the skill set to use their knowledge effectively. But terminating the employee or passing them over for a job opportunity might also be the wrong direction, especially when talent is so hard to find. Just as automation can identify people who have untapped potential, it can help you find those who need a little help and give them a leg up. What's in it for you? Plenty. Missing skills are usually soft skills. Mentoring and training opportunities aren't intended to replace formal education. But they can enhance it to make a candidate's education more useful. 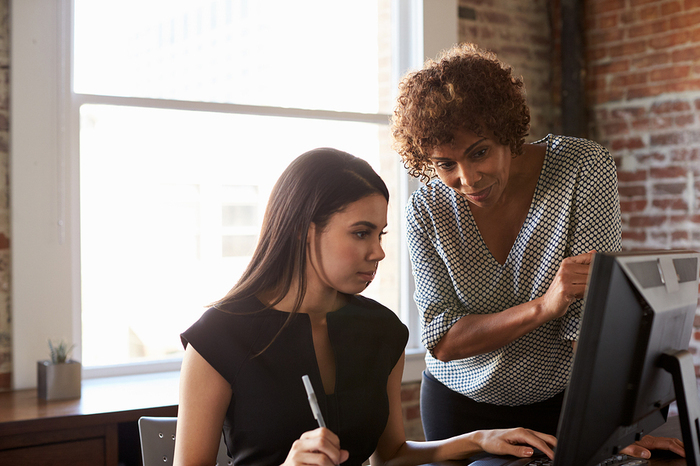 With Baby Boomers retiring in increasing numbers and Millennials falling heavily into skills gap territory, taking action now helps preserve the consistency of your workforce. Automation is one of the top trends in talent acquisition. Its potential is just taking shape. Automation reveals important signs that a job candidate or existing employee needs a nudge and pinpoints the ones who are most likely to flourish if given the opportunity. It might seem unusual to connect the dots between automation and a human experience. But technology, at least when it's great, is a helper by nature. It empowers you for better decision making, better insights, and better human connections. With most of the top talent in a passive job seeker position, the candidate experience has never been more important. Automation can help you create strategies and processes that are useful, meaningful and memorable for the employer and every candidate you reach.